All American hot water pressure washers are designed with “made to last” quality components to withstand the rigors of industrial use. The All American Dominator Series provides hot water cleaning in a compact design. With a direct drive pump and gas engine, the Dominator Series features a powder-coated steel frame with lifting bar. 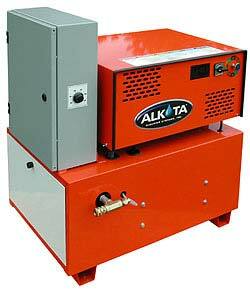 With Alkota's Gas Fired Series of pressure washers, you can tackle the biggest of cleaning jobs. 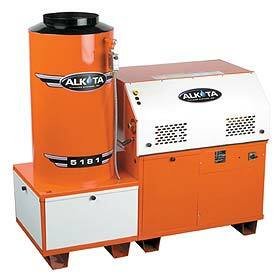 These durable units operate on natural or liquid propane gas for economical and dependable performance. Stationary and portable models available.